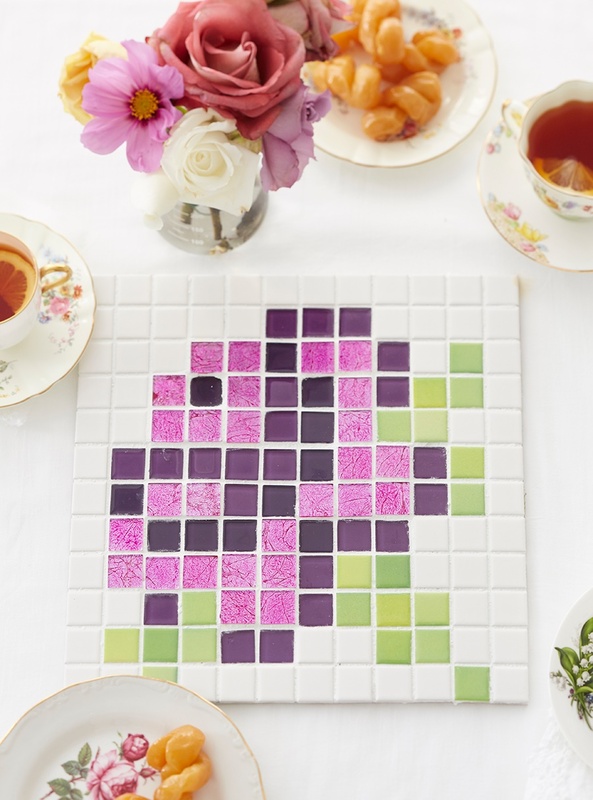 Protect your tabletop with a mosaic pot stand – check out cross-stitch sewing patterns for inspiration. Count the stitches in the pattern to determine how many tiles you’ll need in each colour then glue them in place on a coarse mesh base. Cut a piece of hardboard in the same size as your design, stick the tiles down and grout – it’s as easy as that! A mosaic masterpiece such as this also works wonders as a splashback. A reader, Linkie Staegemann of Buffelspoort, sent us this photograph of her staircase revamp. She says the plain steel staircase with its cement steps was lacklustre. 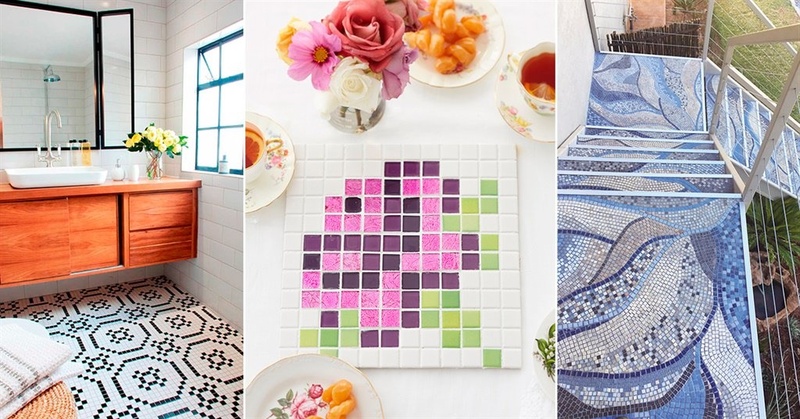 Her creative friend, Ursula Schutte, suggested mosaic. 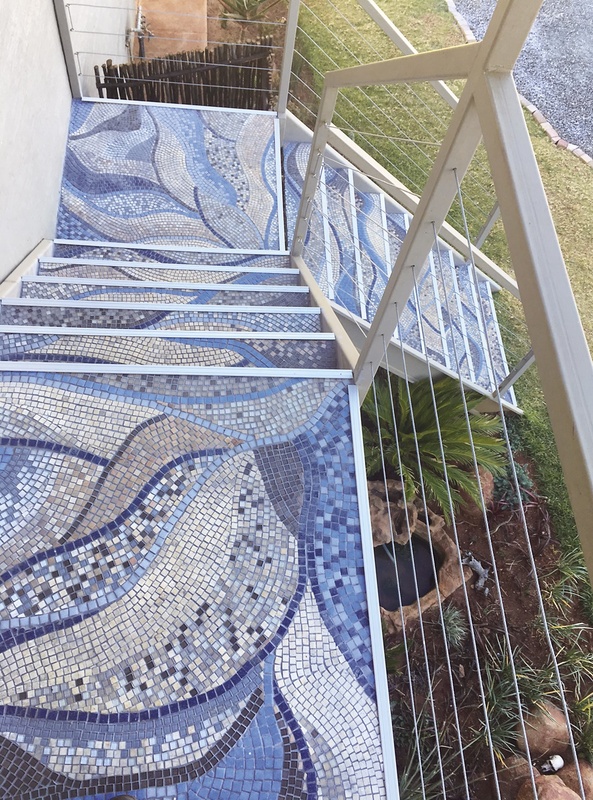 They arranged the tiles in the desired pattern and then created their own mosaic sheets with ordinary cold glue and coarse shade cloth, according to the size of each step. Each sheet was then stuck down with Mosaic Fix mixed with Bond-It. The mixture also served as the grouting. Voila! 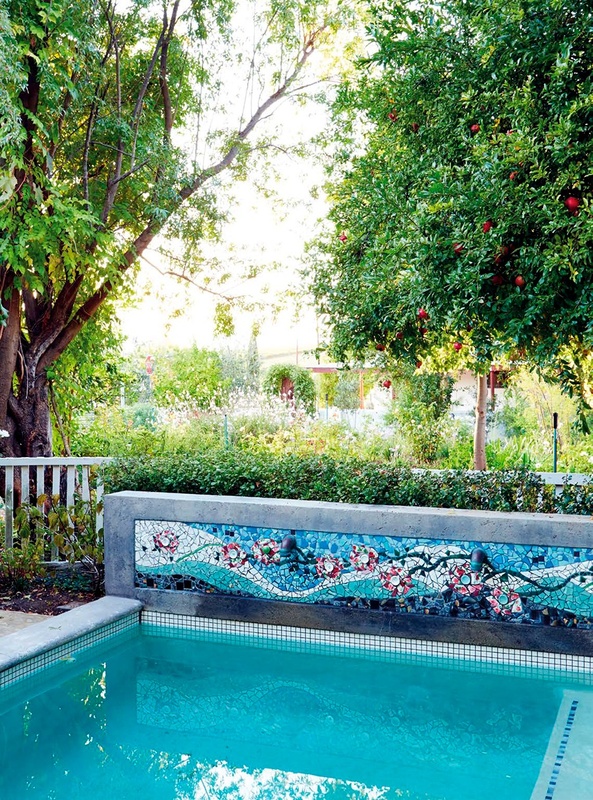 Suzanne du Preez’s self-catering guest house, The Tin House in Riebeek-Kasteel, boasts beautiful mosaic detail next to the swimming pool. The water spouts for the fountain are cleverly concealed in the rose design on the wall – which also separates the pool from the flowerbed. Nikki Zigras, residential interior designer and owner of Studio do Cabo, says this bathroom is her favourite space in her small Victorian cottage in the Bo-Kaap. For many years, Nikki specialised in hotel design in the UK and this background gave her the skills to design her bathroom in such a way that the 2.2 x 2.2m room seems much more spacious than it is in reality. The secret? 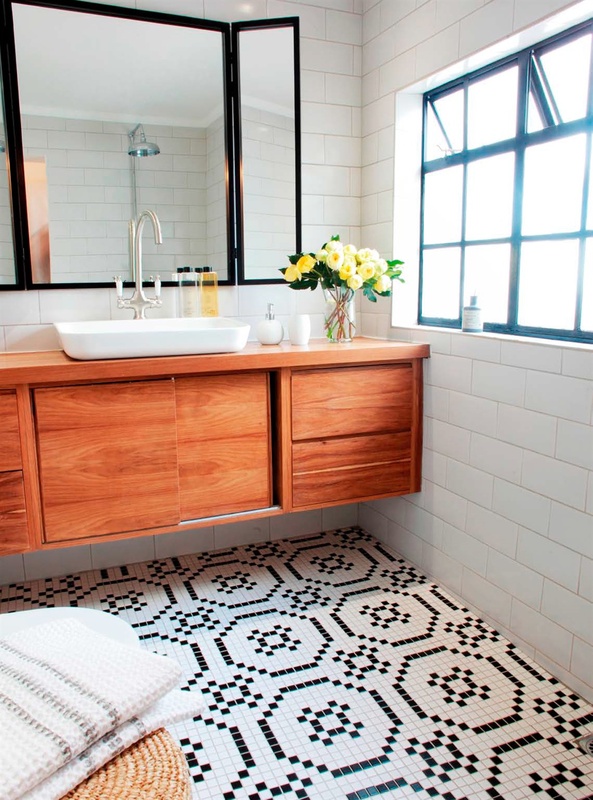 Neutral walls and a modern interpretation of a black-and-white Victorian-style tiled floor. The striking pattern was pasted onto mesh by Mosaic Works, all ready for installation.